White bisque porcelain. Exquisite statuettes of a wide range of animals have long been a cornerstone of Nymphenburg’s repertoire and its renown. 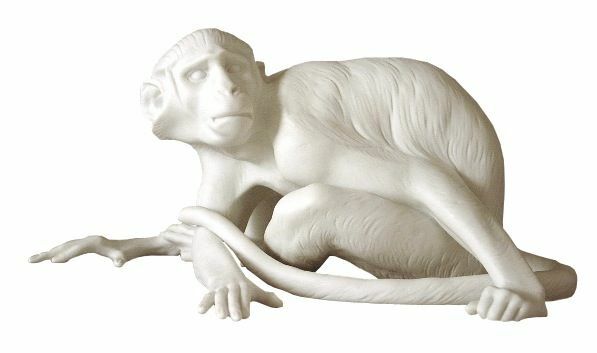 Centuries of experience and skill with impeccable finishes and traditional techniques such as underglaze painting make it possible for the Nymphenburg craftsmen to marshal the notoriously rigid and exacting medium of porcelain into soft and subtle renderings of scales and skin, fur and feathers. The result is a menagerie imbued with an inner life and exhibiting the kind of artistry that you simply will not find anywhere else. 4.7 h in. / 12 h cm.